RIVERDALE, Ga. -- The family of a Riverdale Police officer killed in the line of duty has released a statement. Riverdale Police Major Greg Barney was killed Thursday after being shot while assisting officers serve a no-knock warrant at an apartment. "As you can imagine, our hearts are heavy with the sudden passing of our dear Greg. He loved his job and took great pride in protecting and serving the City of Riverdale. We sincerely appreciate all of your prayers, words of encouragement, and reflections. We also thank you for respecting our privacy during this sensitive time. Greg was a great husband, loving father to twin boys and a caring friend. We will miss him dearly." RIVERDALE, Ga. -- Riverdale Police have revealed new details about a no-warrant raid that resulted in the death of a police officer. Riverdale Police say that Major Greg Barney was one of two police officers who did not wear a bulletproof vest to the raid at the Villages on the River apartment complex on Thursday. RIVERDALE, Ga. – The death of a Riverdale police officer points out the dangers of no knock search warrants. Riverdale Police Major Greg Barney died Thursday after being shot twice while assisting officers serve a warrant at an apartment. While every facet of law enforcement comes with some kind of risk, trying to get into the home of a potential drug dealer or convicted felon can certainly up the stakes. RIVERDALE, Ga. -- A Riverdale police officer shot to death at an apartment complex on Thursday has been identified. The incident happened at the Villages on the River apartment complex off of Church Street. Officers from Riverdale and Clayton County police departments were serving a no-knock warrant. Police said the suspect ran out of the back door of the apartment and opened fire, striking the Riverdale officer. 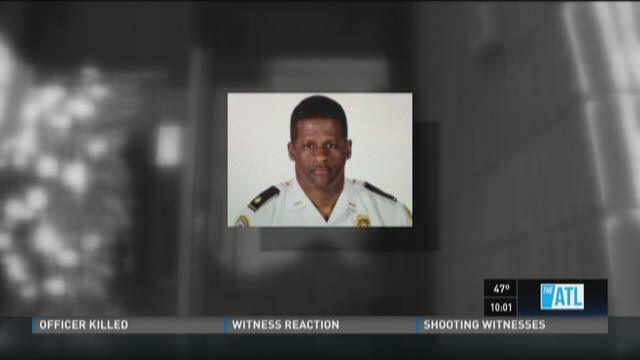 A Clayton County officer then shot the suspect. The officer, identified as Greg Barney, was transported to Southern Regional Medical Center in critical condition. He was taken into surgery, according to Clayton County Fire Battalion Chief David Vasquez. He later died, officials announced. WHEN AND WHERE: The incident happened at the Villages on the River apartment complex, located at 6603 Church St. in Riverdale around 11:30 a.m.